 Global Britain research and communications are intended to add to the understanding of economic and political policy and enhance and inform public debate. Although the information compiled in our research is produced to the best of our ability, its accuracy is not guaranteed. Any persons using Global Britain research or communication material does so solely at their own risk and Global Britain and their publisher shall be under no liability whatsoever in respect thereof. Users accept that all intellectual property rights (including copyright, patents, trademarks) whether registered, or not, on the communication shall remain the property of Global Britain and no customer, or other person shall, or shall attempt to obtain any title to such rights. Information appearing on this communication is the copyright of Global Britain however users are permitted to copy some material for their personal use so long as Global Britain is credited as the information source. Neither Global Britain, nor any of its suppliers, make any warranties expressed or implied, as to the accuracy, adequacy, quality or fitness for any particular purpose of the information or the services for a particular purpose or use and all such warranties are expressly excluded to the fullest extent that such warranties may be excluded by law. You bear all risks from any uses or results of using any information. You are responsible for validating the integrity of any information received over the internet. Due to the number of sources from which Global Britain obtains content Global Britain shall not have any liability (whether in contract or tort) for any losses, costs or damages resulting from or related to use of or inability to use any information contained in the Site or the provision of the Site to the fullest extent to which such liability may be excluded or avoided by law and in no event shall Global Britain be liable to you for lost profits or for indirect, incidental, special, punitive or consequential damages arising out of or in relation to the provision of information on the Site.